There is a class plan available for up to 4 students. Schedule their day/week and curriculum for the year. This is important because you can coordinate their schedule with the teacher schedule. (I use this to coordinate my time with each child.) I use a pencil when completing this. I make changes through out the year. I use this for my younger children. I write down the main seat work subjects they have. Then I use clear contact paper over them. I hole punch the ends and cut a slit in the hole. 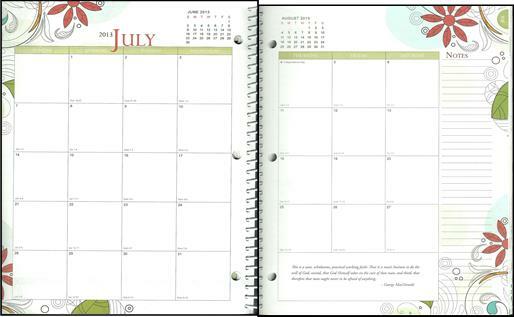 My planner is in a three ring binder. So I pull those out every time they sit to complete their work. They use a dry erase to check off and put it back when they are done. Wonderful tool for reviewing what was accomplished over the year. I use this to list all the books each child reads or has read aloud for that month. I include all our activities, movies, etc. that we use school related. It gives me a good at a glance of what we are accomplishing. 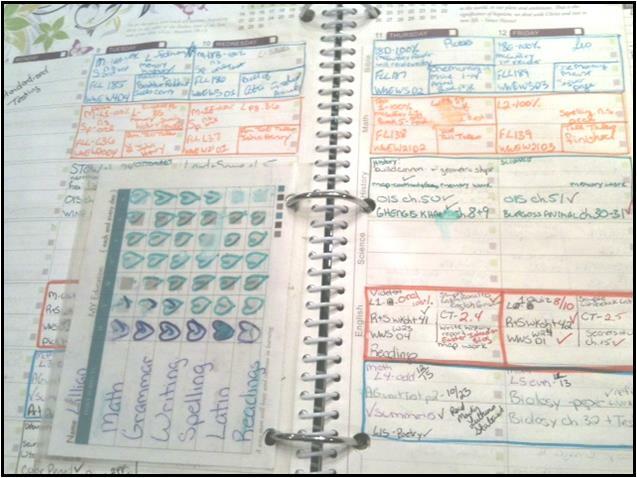 I am most excited about the new 2013/2014 because of the two page spread calendar and monthly tabs! I have not been able to utilize the 1 page calendar in the past. The squares were too small. This simple update has saved me from buying a separate general calendar! The two page spread of the week has been wonderful and can be easily used. I have used this in a variety of ways. I only write what we actually accomplish. 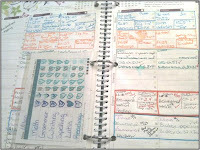 If I plan ahead and write it in the planner, than I make sure those items are completed. The giveaway has ended and a winner has been emailed!